When Netflix announced last week that their Marvel series Iron Fist would be canceled, many weren’t surprised. Of the five Marvel productions on the streaming service, Iron Fist was arguable the weakest of them. While the second season was an improvement to the first, the move was understandable. Theories are already circulating on the internet regarding the move. 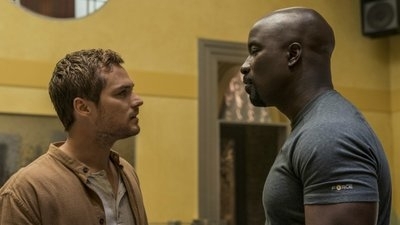 Some are saying that this is all leading up to a Heroes For Hire series, where Luke and Danny are partnered. Others believe this may be a move by Disney to eventually move all their properties to their own streaming service. If that were the case, it could be a move that would see Daredevil, Jessica Jones and The Punisher making the move. Time will tell what the ultimate plane is.